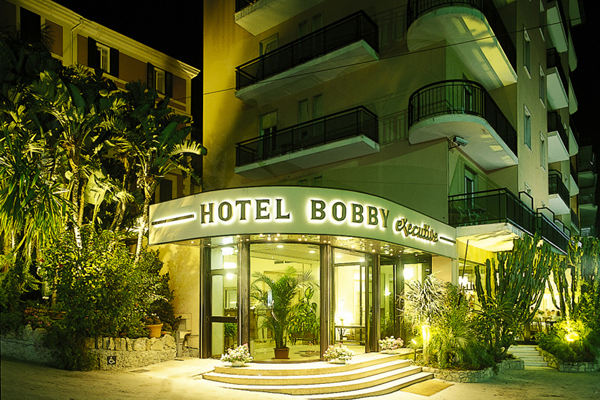 The Bobby Executive Hotel offers a splendid view over the Gulf of San Remo, access to a private beach and pedestrian promenade, swimming pool with solarium, bike rental service for sports enthusiastis, meeting rooms for traveling businessmen, and much more. Have a look at all of our services! 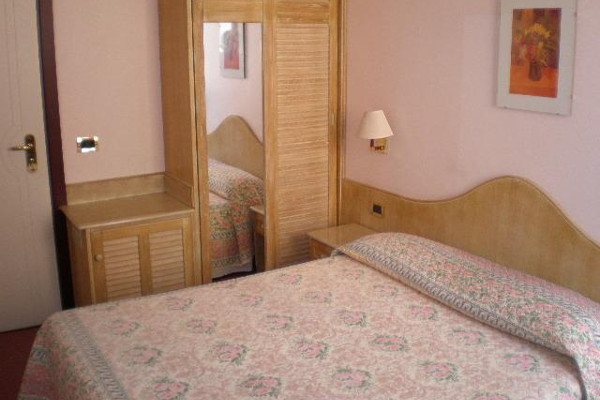 All the rooms are elegantly furnished and equipped with bathroom or shower, telephone, satellite TV and air conditioning. The hotel offers its guests free parking in a private garage. Those who wish to enjoy the sun and the sea undisturbed can avail themselves of the private Gabriella beach which can supply beach loungers and umbrellas at reasonable rates. 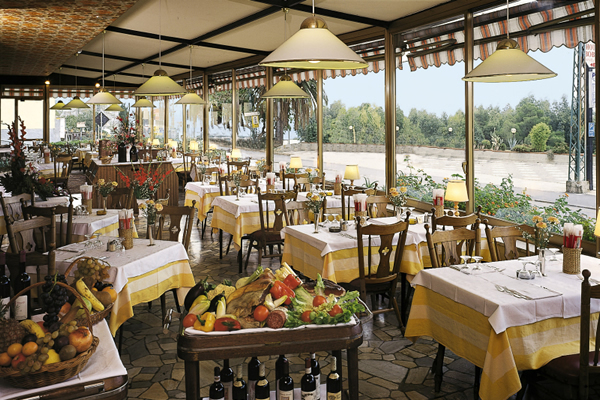 The hotel has an excellent restaurant that serves dishes typical of traditional Italian cuisine, and has a banquet hall and bar. 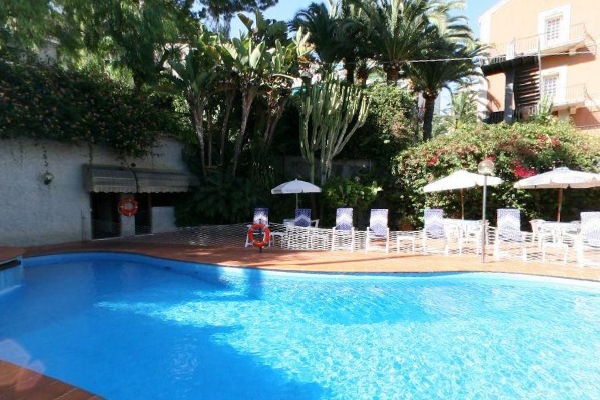 Fitness room and swimming pool with solarium surrounding a lovely garden are available to anyone who wants to relax or stay in shape. It is possible to rent bicycles on the beach, which guests can reach easily. 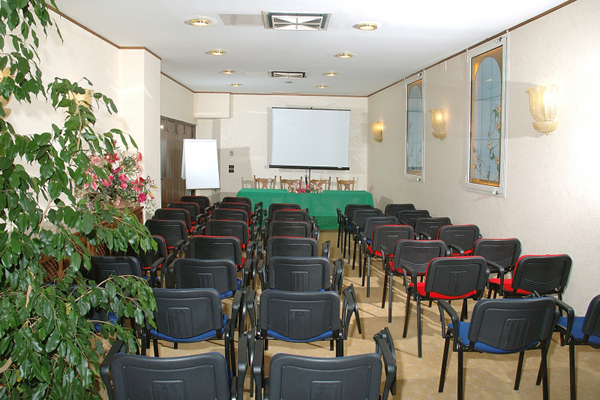 It is possible to organize conferences and meetings using the designated rooms made available by the hotel. 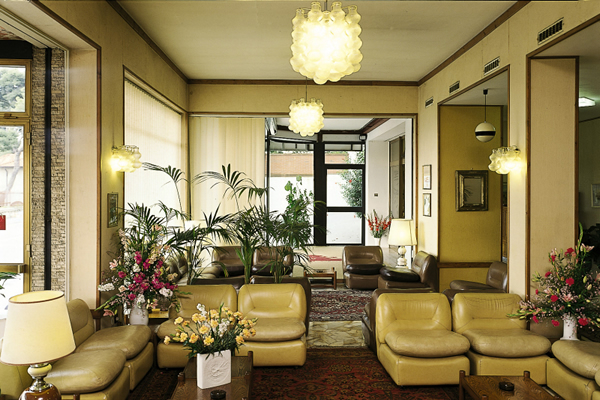 In addition free Wi-Fi connection is offered throughout the hotel. Children can stay free in the room using the beds already provided. Supplementary beds are available on request, for an added charge. Pets are allowed in the rooms without any supplementary charge. 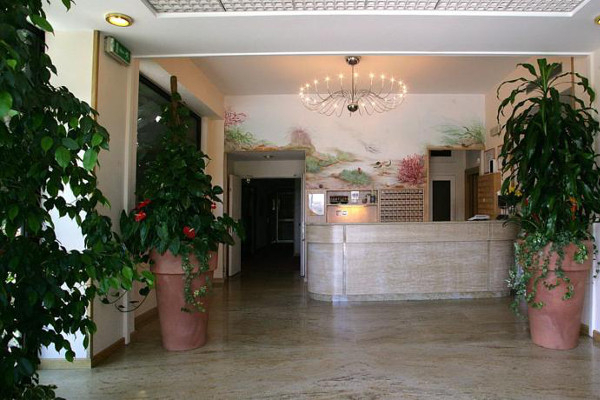 A modern building a few metres from the sea, the hotel is located not far from the city centre. In addition, there is a public bus service that reaches other towns along the coast such as Ventimiglia. Autostrada A10 exit Sanremo Ovest. Go down Via Padre Semeria for about 4 km, and upon reaching Via Aurelia turn right at the traffic lights and proceed for per 300 meters, the hotel is situated on the right side of the street.